Water is a transparent, tasteless, odorless, and nearly colorless chemical substance, which is the main constituent of Earth's streams, lakes, and oceans, and the fluids of most living organisms. It is vital for all known forms of life, even though it provides no calories or organic nutrients. Its chemical formula is H2O, meaning that each of its molecules contains one oxygen and two hydrogen atoms, connected by covalent bonds. Water is the name of the liquid state of H2O at standard ambient temperature and pressure. It forms precipitation in the form of rain and aerosols in the form of fog. Clouds are formed from suspended droplets of water and ice, its solid state. When finely divided, crystalline ice may precipitate in the form of snow. The gaseous state of water is steam or water vapor. Water moves continually through the water cycle of evaporation, transpiration (evapotranspiration), condensation, precipitation, and runoff, usually reaching the sea. Groundwater is the water present beneath Earth's surface in soil pore spaces and in the fractures of rock formations. A unit of rock or an unconsolidated deposit is called an aquifer when it can yield a usable quantity of water. The depth at which soil pore spaces or fractures and voids in rock become completely saturated with water is called the water table. Groundwater is recharged from and eventually flows to the surface naturally; natural discharge often occurs at springs and seeps, and can form oases or wetlands. Groundwater is also often withdrawn for agricultural, municipal, and industrial use by constructing and operating extraction wells. The study of the distribution and movement of groundwater is hydrogeology, also called groundwater hydrology. "organic matter deposits, such as kerogen and coal. soil and sediment organic matter. Kerogen is solid, insoluble organic matter in sedimentary rocks. Consisting of an estimated 1016 tons of carbon, it is the most abundant source of organic compounds on earth, exceeding the total organic content of living matter by 10,000 fold. It is insoluble in normal organic solvents and it does not have a specific chemical formula. Upon heating, kerogen converts in part to liquid and gaseous hydrocarbons. Petroleum and natural gas form from kerogen. Kerogen may be classified by its origin: lacustrine (e.g., algal), marine (e.g., planktonic), and terrestrial (e.g., pollen and spores). The name "kerogen" was introduced by the Scottish organic chemist Alexander Crum Brown in 1906, derived from the Greek for "wax birth" (Greek: κηρός "wax" and -gen, γένεση "birth"). Coal is a combustible black or brownish-black sedimentary rock, formed as rock strata called coal seams. 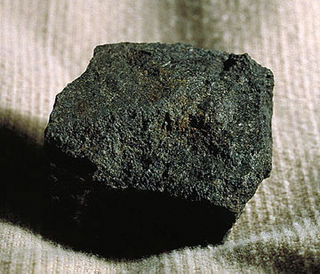 Coal is mostly carbon with variable amounts of other elements; chiefly hydrogen, sulfur, oxygen, and nitrogen. Coal is formed if dead plant matter decays into peat and over millions of years the heat and pressure of deep burial converts the peat into coal. Vast deposits of coal originates in former wetlands—called coal forests—that covered much of the Earth's tropical land areas during the late Carboniferous (Pennsylvanian) and Permian times. One source of groundwater organic matter is soil organic matter and sedimentary organic matter. The major method of movement into soil is from groundwater, but organic matter from soil moves into groundwater as well. Most of the matter in lakes, rivers, and surface water areas comes from deteriorated material in the water and surrounding shores, and some from groundwater. Soil organic matter (SOM) is the organic matter component of soil, consisting of plant and animal residues at various stages of decomposition, cells and tissues of soil organisms, and substances synthesized by soil organisms. SOM exerts numerous positive effects on soil physical and chemical properties, as well as the soil’s capacity to provide regulatory ecosystem services. Particularly, the presence of SOM is regarded as being critical for soil functions and soil quality. Sedimentary organic matter includes the organic carbon component of sediments and sedimentary rocks. The organic matter is usually a component of sedimentary material even if it is present in low abundance. Petroleum and natural gas are particular examples of sedimentary organic matter. Coals and bitumen shales are examples of sedimentary rocks rich in sedimentary organic matter. A lake is an area filled with water, localized in a basin, that is surrounded by land, apart from any river or other outlet that serves to feed or drain the lake. Lakes lie on land and are not part of the ocean, and therefore are distinct from lagoons, and are also larger and deeper than ponds, though there are no official or scientific definitions. Lakes can be contrasted with rivers or streams, which are usually flowing. Most lakes are fed and drained by rivers and streams. There are several ways to quickly increase the amount of humus. Combining compost, plant or animal materials/waste, or green manure with soil will increase the amount of humus in the soil. Plant and animal material and waste: dead plants or plant waste such as leaves or bush and tree trimmings, or animal manure. Green manure: plants or plant material that is grown for the sole purpose of being incorporated with soil. The priming effect can arise either instantaneously or very shortly (potentially days or weeks)  after the addition of a substance is made to the soil. The priming effect is larger in soils that are rich in C and N as compared to those poor in these nutrients. Real priming effects have not been observed in sterile environments. One suitable definition of organic matter is biological material in the process of decaying or decomposing, such as humus. A closer look at the biological material in the process of decaying reveals so-called organic compounds (biological molecules) in the process of breaking up (disintegrating). The main processes by which soil molecules disintegrates are by bacterial or fungal enzymatic catalysis. 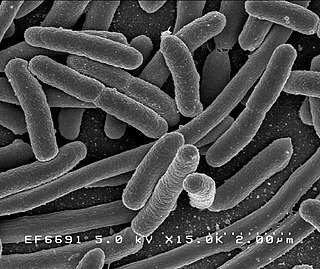 If bacteria or fungi were not present on Earth, the process of decomposition would have proceeded much slower. Measurements of organic matter generally measure only organic compounds or carbon, and so are only an approximation of the level of once-living or decomposed matter. Some definitions of organic matter likewise only consider "organic matter" to refer to only the carbon content, or organic compounds, and do not consider the origins or decomposition of the matter. In this sense, not all organic compounds are created by living organisms, and living organisms do not only leave behind organic material. A clam's shell, for example, while biotic, does not contain much organic carbon, so may not be considered organic matter in this sense. Conversely, urea is one of many organic compounds that can be synthesized without any biological activity. The molecular weights of these compounds can vary drastically, depending on if they repolymerize or not, from 200 to 20,000 amu. Up to one third of the carbon present is in aromatic compounds in which the carbon atoms form usually six-membered rings. These rings are very stable due to resonance stabilization, so they are difficult to break down. The aromatic rings are also susceptible to electrophilic and nucleophilic attack from other electron-donating or electron-accepting material, which explains the possible polymerization to create larger molecules of organic matter. Aquatic organic matter can be further divided into two components: (1) dissolved organic matter (DOM), measured as colored dissolved organic matter (CDOM) or dissolved organic carbon (DOC), and (2) particulate organic matter (POM). They are typically differentiated by that which can pass through a 0.45 micrometre filter (DOM), and that which cannot (POM). Organic matter plays an important role in drinking water and wastewater treatment and recycling, natural aquatic ecosystems, aquaculture, and environmental rehabilitation. It is therefore important to have reliable methods of detection and characterisation, for both short- and long-term monitoring. A variety of analytical detection methods for organic matter have existed for up to decades, to describe and characterise organic matter. These include, but are not limited to: total and dissolved organic carbon, mass spectrometry, nuclear magnetic resonance (NMR) spectroscopy, infrared (IR) spectroscopy, UV-Visible spectroscopy, and fluorescence spectroscopy. Each of these methods has its own advantages and limitations. The equation of "organic" with living organisms comes from the now-abandoned idea of vitalism that attributed a special force to life that alone could create organic substances. This idea was first questioned after the artificial synthesis of urea by Friedrich Wöhler in 1828. Compost is organic matter that has been decomposed in a process called composting. This process recycles various organic materials otherwise regarded as waste products and produces a soil conditioner. In soil science, humus denominates the fraction of soil organic matter that is amorphous and without the "cellular cake structure characteristic of plants, micro-organisms or animals." Humus significantly affects the bulk density of soil and contributes to its retention of moisture and nutrients. Is this the largest organism in the world? This 2,400-acre [970-hectare] site in eastern Oregon had a contiguous growth of mycelium before logging roads cut through it. ... Mushroom-forming forest fungi are unique in that their mycelial mats can achieve such massive proportions. Weathering is the breaking down of rocks, soil, and minerals as well as wood and artificial materials through contact with the Earth's atmosphere, water, and biological organisms. 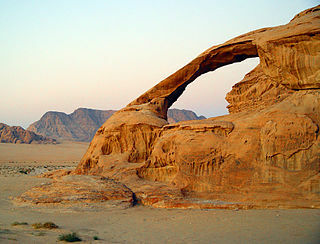 Weathering occurs in situ, that is, in the same place, with little or no movement, and thus should not be confused with erosion, which involves the movement of rocks and minerals by agents such as water, ice, snow, wind, waves and gravity and then being transported and deposited in other locations. Pedogenesis is the process of soil formation as regulated by the effects of place, environment, and history. Biogeochemical processes act to both create and destroy order (anisotropy) within soils. These alterations lead to the development of layers, termed soil horizons, distinguished by differences in color, structure, texture, and chemistry. These features occur in patterns of soil type distribution, forming in response to differences in soil forming factors. Decomposition is the process by which organic substances are broken down into a more simple organic matter. The process is a part of the nutrient cycle and is essential for recycling the finite matter that occupies physical space in the biosphere. Bodies of living organisms begin to decompose shortly after death. Animals, such as worms, also help decompose the organic materials. Organisms that do this are known as decomposers. Although no two organisms decompose in the same way, they all undergo the same sequential stages of decomposition. The science which studies decomposition is generally referred to as taphonomy from the Greek word taphos, meaning tomb. In agriculture, green manure is created by leaving uprooted or sown crop parts to wither on a field so that they serve as a mulch and soil amendment. The plants used for green manure are often cover crops grown primarily for this purpose. Typically, they are ploughed under and incorporated into the soil while green or shortly after flowering. Green manure is commonly associated with organic farming and can play an important role in sustainable annual cropping systems. Humic substances are organic compounds that are important components of humus, the major organic fraction of soil, peat, and coal. For a long era in the 19th and 20th centuries, humic substances were often viewed through a lens of acid–base theory that described humic acids, as organic acids, and their conjugate bases, humates, as important components of organic matter. Through this viewpoint humic acids were defined as organic substances extracted from soil that coagulate when a strong-base extract is acidified, whereas fulvic acids are organic acids that remain soluble when a strong-base extract is acidified. Soil biology is the study of microbial and faunal activity and ecology in soil. Soil life, soil biota, soil fauna, or edaphon is a collective term that encompasses all organisms that spend a significant portion of their life cycle within a soil profile, or at the soil-litter interface. These organisms include earthworms, nematodes, protozoa, fungi, bacteria, different arthropods, as well as some reptiles, and species of burrowing mammals like gophers, moles and prairie dogs. Soil biology plays a vital role in determining many soil characteristics. The decomposition of organic matter by soil organisms has an immense influence on soil fertility, plant growth, soil structure, and carbon storage. As a relatively new science, much remains unknown about soil biology and its effect on soil ecosystems. Soil ecology is the study of the interactions among soil biology, and between biotic and abiotic aspects of the soil environment. It is particularly concerned with the cycling of nutrients, formation and stabilization of the pore structure, the spread and vitality of pathogens, and the biodiversity of this rich biological community. Mineralization in soil science is the decomposition, i. e. oxidation, of the chemical compounds in organic matter, by which the nutrients in those compounds are released in soluble inorganic forms that may be available to plants. Mineralization is the opposite of immobilization. Litterfall, plant litter, leaf litter, tree litter, soil litter, or duff, is dead plant material that have fallen to the ground. This detritus or dead organic material and its constituent nutrients are added to the top layer of soil, commonly known as the litter layer or O horizon. Litter has occupied the attention of ecologists at length for the reasons that it is an instrumental factor in ecosystem dynamics, it is indicative of ecological productivity, and may be useful in predicting regional nutrient cycling and soil fertility. Manure is organic matter, mostly derived from animal feces except in the case of green manure, which can be used as organic fertilizer in agriculture. Manures contribute to the fertility of the soil by adding organic matter and nutrients, such as nitrogen, that are utilised by bacteria, fungi and other organisms in the soil. Higher organisms then feed on the fungi and bacteria in a chain of life that comprises the soil food web. A mire is a wetland type, dominated by living, peat-forming plants. Mires arise because of incomplete decomposition of organic matter, due to waterlogging and subsequent anoxia. Like coral reefs, mires are unusual landforms in that they derive mostly from biological rather than physical processes, and can take on characteristic shapes and surface patterning. Soil carbon storage is an important function of terrestrial ecosystems. Soil contains more carbon than plants and the atmosphere combined. Understanding what maintains the soil carbon pool is important to understand the current distribution of carbon on Earth, and how it will respond to environmental change. While much research has been done on how plants, free-living microbial decomposers, and soil minerals affect this pool of carbon, it is recently coming to light that mycorrhizal fungi—symbiotic fungi that associate with roots of almost all living plants—may play an important role in maintaining this pool as well. Measurements of plant carbon allocation to mycorrhizal fungi have been estimated to be 5-20% of total plant carbon uptake, and in some ecosystems the biomass of mycorrhizal fungi can be comparable to the biomass of fine roots. Recent research has shown that mycorrhizal fungi hold 50 to 70 percent of the total carbon stored in leaf litter and soil on forested islands in Sweden. Turnover of mycorrhizal biomass into the soil carbon pool is thought to be rapid and has been shown in some ecosystems to be the dominant pathway by which living carbon enters the soil carbon pool. Particulate organic matter is defined as organic particles such as soil organic matter or other particulates between 0.053 mm and 2 mm in size. Isolated by sieving or filtration, this fraction includes partially decomposed detritus and plant material, pollen, and other materials. When sieving to determine POM content, consistency is crucial because isolated size fractions will depend on the force of agitation. ↑ Sejian, Veerasamy; Gaughan, John; Baumgard, Lance; Prasad, Cadaba. Climate Change Impact on Livestock: Adaptation and Mitigation. Springer. ISBN 978-81-322-2265-1. ↑ Nicola Senesi, Baoshan Xing, and P.M. Huang, Biophysico-Chemical Processes Involving Natural Nonlifiidulfitving Organic Matter in Environmental Systems, New York: IUPAC, 2006. 1 2 Steve Cabaniss, Greg Madey, Patricia Maurice, Yingping Zhou, Laura Leff, Olacheesy head Bob Wetzel, Jerry Leenheer, and Bob Wershaw, comps, Stochastic Synthesis of Natural Organic Matter, UNM, ND, KSU, UNC, USGS, 22 Apr, 2007. ↑ George Aiken, United States of America, United States Geological Survey, Organic Matter in Ground Water, 2002, 1 May 2007 <http://water.usgs.gov/ogw/pubs/ofr0289/ga_organic.htm>. ↑ "Soil Health Terms". Archived from the original on 8 November 2006. 1 2 3 4 5 Kuyakov, Y.; Friedel, J.K.; Stahr, K. (Oct 2000). "Review of mechanisms and quantification of priming effects". Soil Biology & Biochemistry. 32 (11–12): 1485–1498. doi:10.1016/S0038-0717(00)00084-5. 1 2 3 4 5 Kuzyakov, Y. (2010). "Priming effects: Interactions between living and dead organic matter". Soil Biology & Biochemistry. 42 (9): 1363–1371. doi:10.1016/J.Soilbio.2010.04.003. 1 2 Fontaine, Sebastien; Mariotti, Abbadie (2003). "The priming effect of organic matter: a question of microbial competition?". Soil Biology & Biochemistry. 35: 837–843. doi:10.1016/s0038-0717(03)00123-8. ↑ Nottingham, A.T.; Griffiths, Chamberlain; Stott, Tanner (2009). "Soil priming by sugar and leaf-litter substrates: A link to microbial groups". Applied Soil Ecology. 42 (3): 183–190. doi:10.1016/J.Apsoil.2009.03.003. ↑ Guenet, B.; Danger; Abbadie; Lacroix (Oct 2010). "Priming effect:bridging the gap between terrestrial and aquatic ecology". Ecology. 91 (10): 2850–2861. doi:10.1890/09-1968.1. ↑ Cho, Min, Hyenmi Chung, and Jeyong Yoon, "Disinfection of Water Containing Natural Organic Matter by Using Ozone-Initiated Radical Reactions," Abstract, Applied and Environmental Microbiology Vol. 69 No.4 (2003): 2284-2291. Fortner, John D., Joseph B. Hughes, Jae-Hong Kim, and Hoon Hyung. "Natural Organic Matter Stabilizes Carbon Nanotubes in the Aqueous Phase." Abstract. Environmental Science & Technology Vol. 41 No. 1 (2007): 179-184. "Researchers Study Role of Natural Organic Matter in Environment." Science Daily 20 Dec. 2006. 22 Apr. 2007 <https://www.sciencedaily.com/releases/2006/12/061211221222.htm>. "Topic Snapshot: Natural Organic Material." American Water Works Association Research Foundation. 2007. 22 Apr. 2007 <https://web.archive.org/web/20070928102105/http://www.awwarf.org/research/TopicsAndProjects/topicSnapShot.aspx?Topic=Organic>.